If you're considering a master's degree at the Ford School we encourage you to attend an upcoming weekend graduate information session. You'll hear about our degree programs and have an opportunity to meet with members of the Ford School community. Information sessions for 2018 have been completed. Upcoming dates for 2019 will be posted soon. 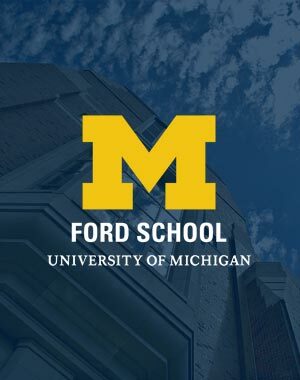 Join us on the University of Michigan's central campus in Ann Arbor for a catered lunch, panel discussions with faculty and current students, a Q&A session, and a tour of the Ford School facilities at Joan and Sanford Weill Hall. If you are not able to visit then, please feel free to contact the Student and Academic Services office to schedule an individual visit.